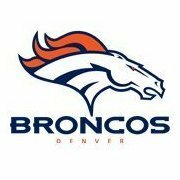 With the 10th pick the Denver Broncos select? If it was me, you are in QBs sweet spot. So I would trade down. Pick up an extra 1st for next year and a 1st this year and maybe something else in this draft. With the one you get this year take the best tackle on the board. Move bolles over to the right. CB in round 2. Thoughts? Who the hell is giving us next year’s first and a pick this year to trade down? And which QB are they trading up for? Anyone looking for a qb or someone falling. Teams do stupid stuff all the time. If you can't ID who the QB is who a team would trade up for.....there's a fundamental problem with the scenario. Haskins would likely be the 1 guy people could trade up for, but unlikely he's sitting there when we are up. After that....man, it's not even clear who the 2 guy is, and frankly, there will be a ton of debate on whether that guy is a good 1st round pick at any point other than at the very end (where the 5th year option idea comes into play). Gut feeling. Deandre Baker or Byron Murphy. Personally I think both of the big boy Qb's are crap in this draft. But there will be 2 that goes in the top 10. Lock and Haskins. But it could be they are after somthing else. You look at the last year teams gave up the 1st and a bunch of seconds to move up. It's not out of the question some team would trade up and surrender up that. Haven’t looked into Murphy much yet, but supposedly he’s a hell of a ballhawk with exceptional mirror skills, but a bit undersized. I have seen Baker multiple times this year and he’s one of my favorite players in the draft. Has a lot of length, mirrors well, and I love how physical he plays. A part of me could see him running a bit slower than preferred, but he’s a hell of a player. Baker is my favorite player in the draft. I am a UGA fan after all. But that aside he is a gamer. When has Elway moved down in the first? Once. It’s nice to think about it but he has moved up twice. Also in the trade down? He didn’t get good value. Went from 25 to 31 for pick 126. Then went down from 31 to 36 giving up that 126 and only gaining 101 in return. So 25 to 36 for pick 101. Luckily the player worked out at 36 (Wolfe) but playing this hypothetical game that goes against what Elway does or showing no evidence Elway even gets good returns on draft day trades (look at this history there) is just dream land speak. BPA at a position of need. Being QB (not really a guy there), CB, (Baker, Greedy, Murphy) or OT (Jonah Williams, Greg Little) and try and address the other position in the 2nd if a BPA at the position is there. I’d rather nab one of those top three corners because I feel the drop off at CB is greater in the his draft than RT. I think Bolles can stick at LT. He needs to cool his temper but he has improved greatly. I'd like to trade down aquire more picks and then pick Daniel jones at some point in the first or second round. Say you can trade down into the back half of the first for an extra first or second. That would hedge your bets in case the extra pick you have to select a qb fails.